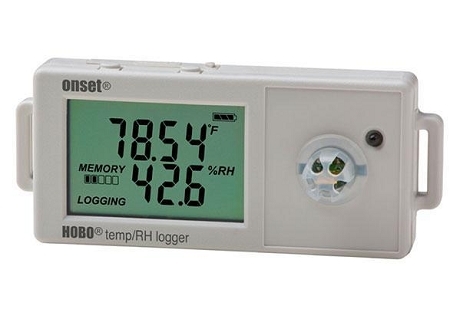 The HOBO UX100-011 Temperature/Relative Humidity data logger records temperature and relative humidity (within 2.5% accuracy) in indoor environments with it's integrated sensors. 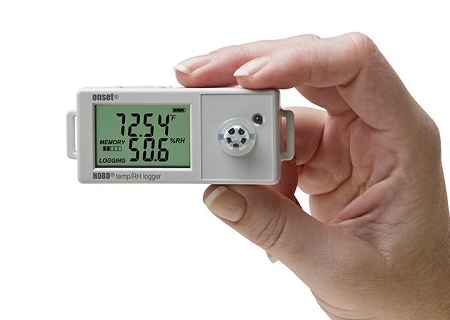 This data logger is ideal for monitoring occupants comfort in office buildings, tracking food storage conditions in warehouses, logging temperature trends in server rooms, and measuring humidity levels in museums. 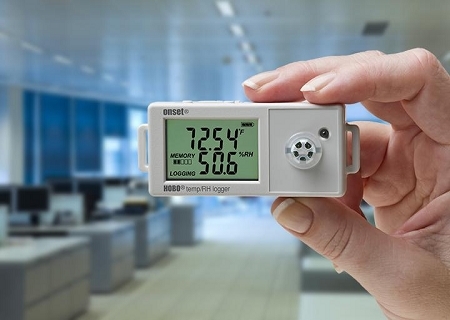 The UX100-011 Data Logger is for use in Indoor environments.